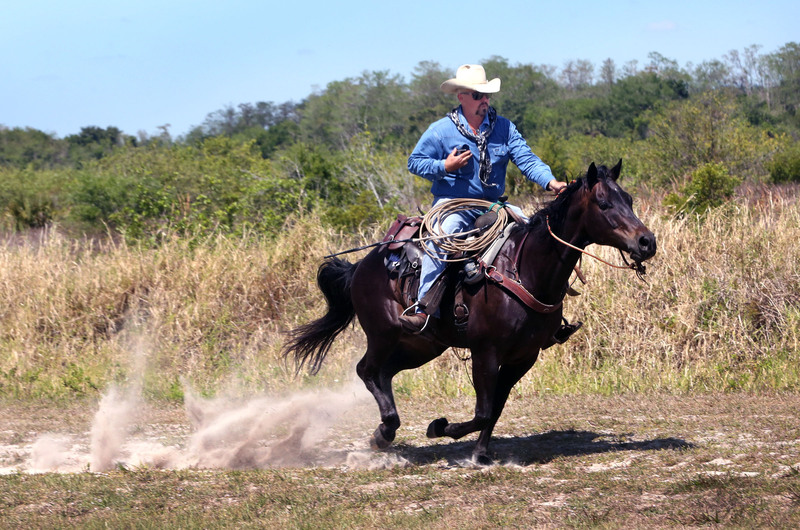 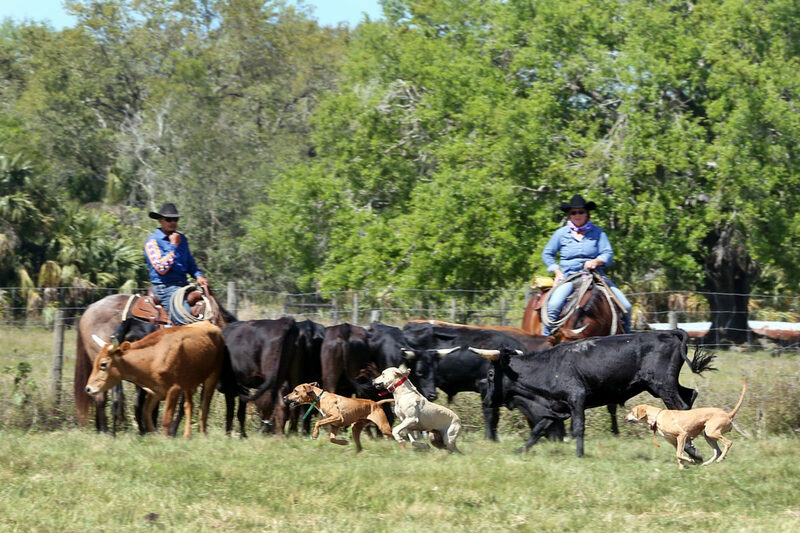 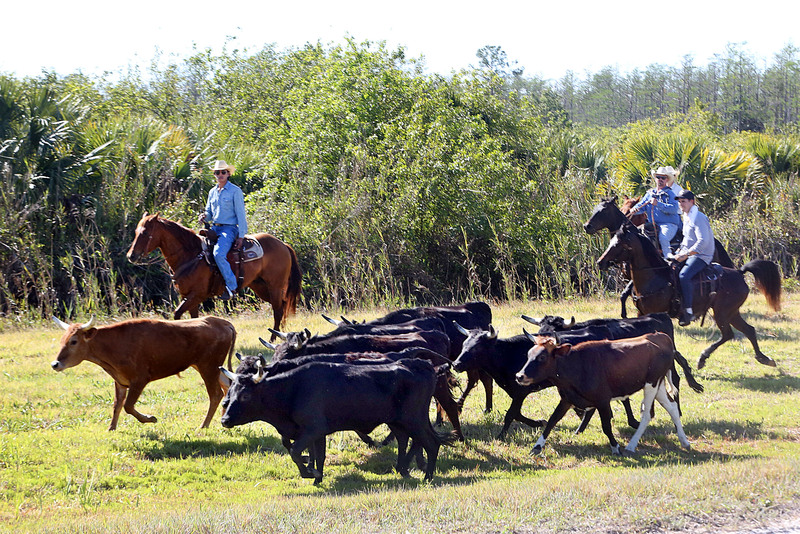 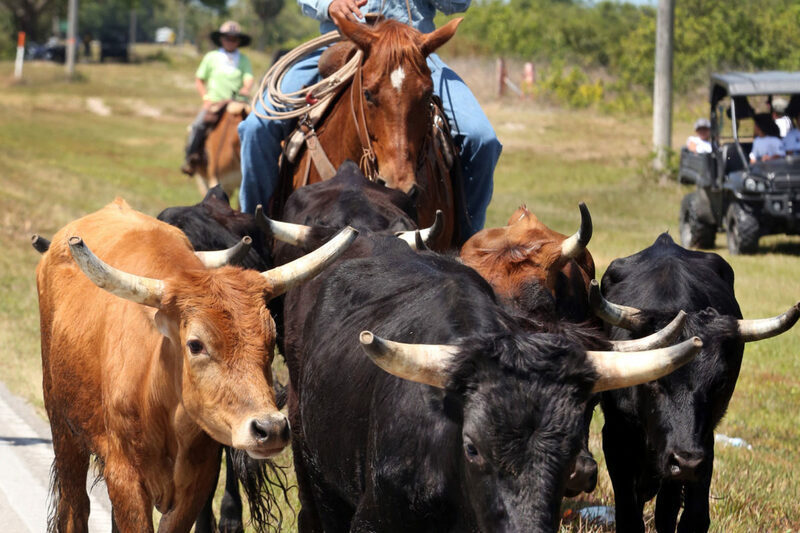 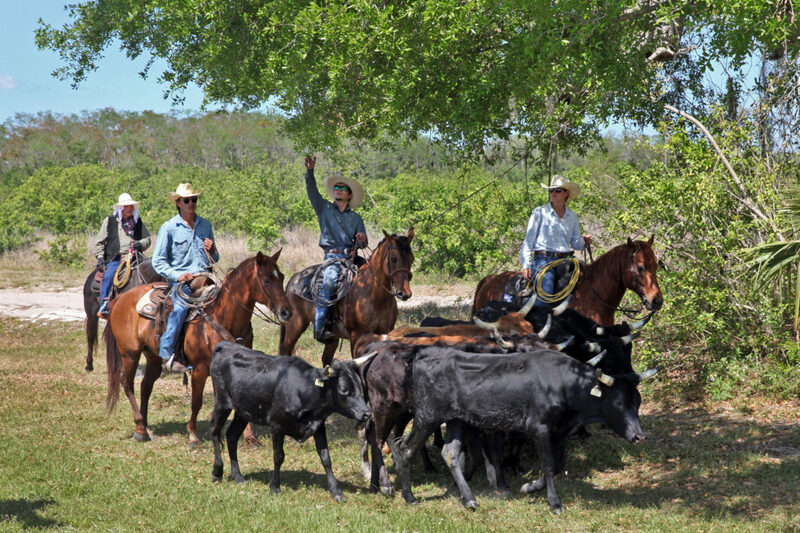 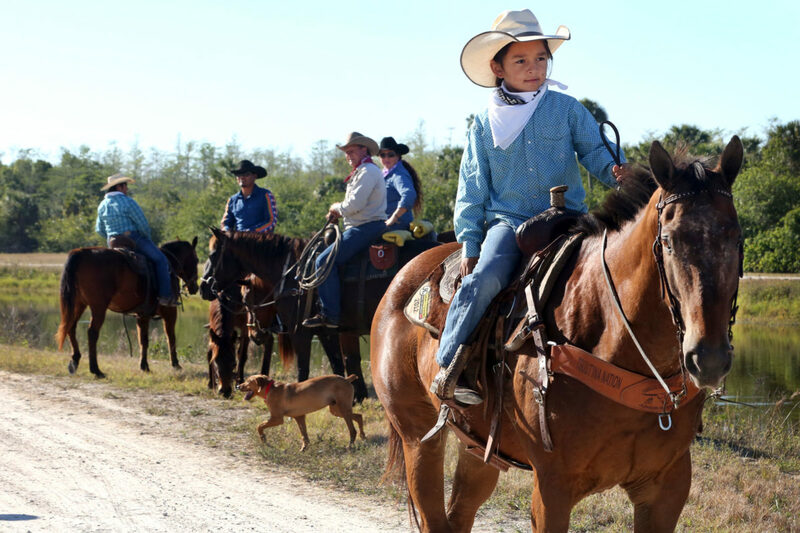 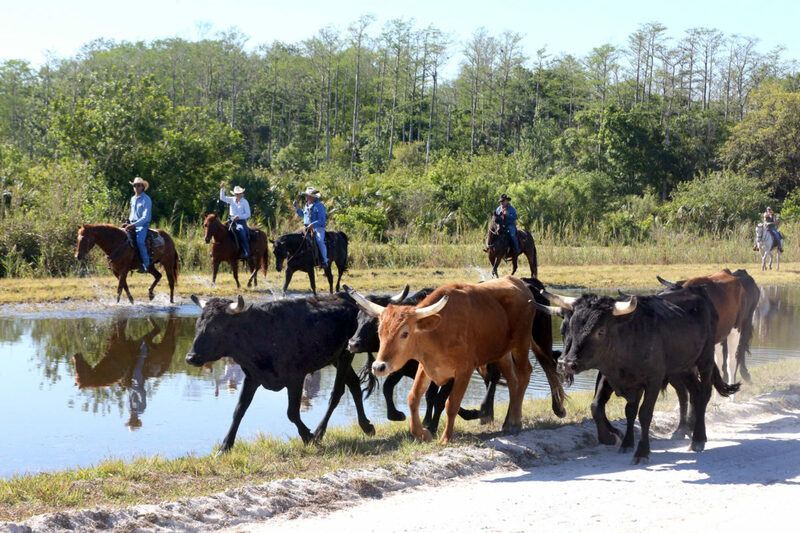 BIG CYPRESS — More than 30 Tribal and non-Tribal cowboys and cowgirls of all ages saddled up March 17 and hit the road for the 22nd annual Junior Cypress Cattle Drive and Rodeo in Big Cypress. 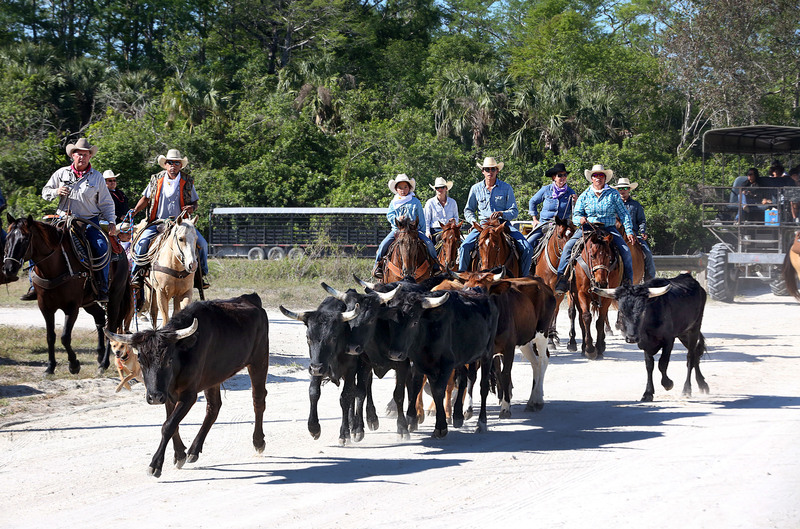 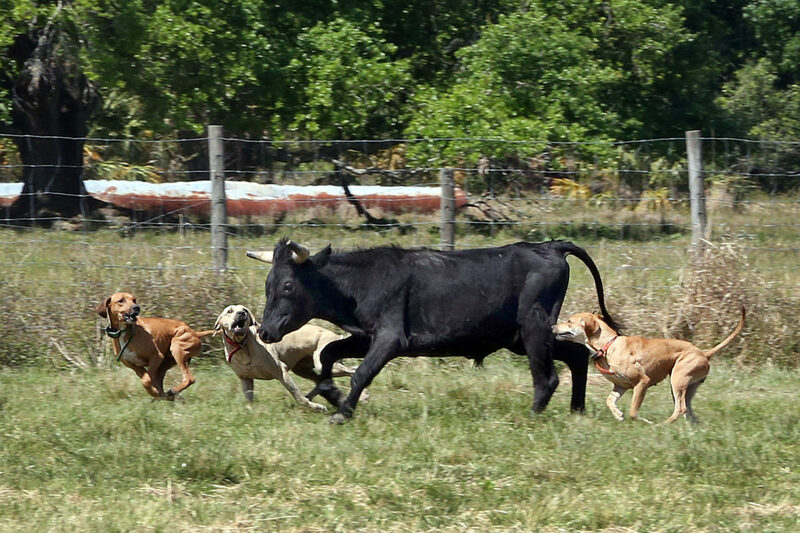 A group of nine steer led the way as horseback riders, dogs, ATVs, bicycles and a swamp buggy kept them in line and on pace to reach the rodeo grounds in time for the afternoon Eastern Indian Rodeo Assocation Kids Rodeo. 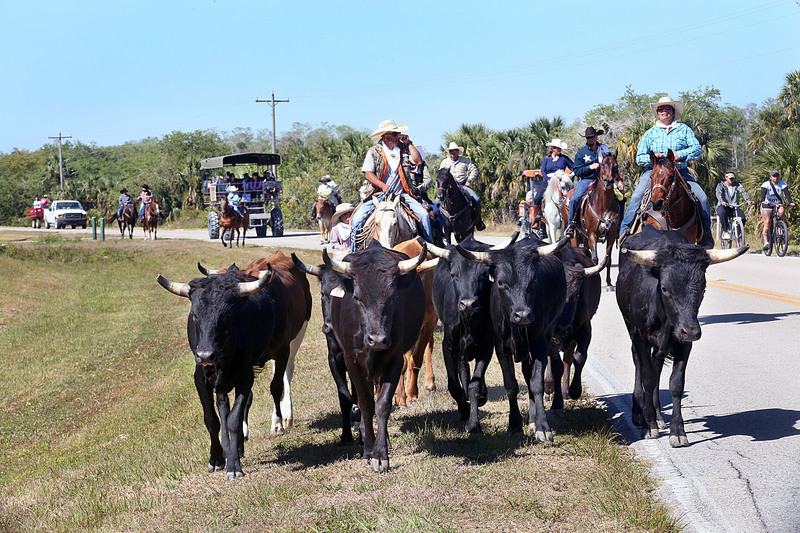 The symbolic moving of cattle 10 miles from the spillway to the rodeo arena honored the late Henry Osceola and his son Rudy Osceola, both renowned cattlemen with the Tribe. 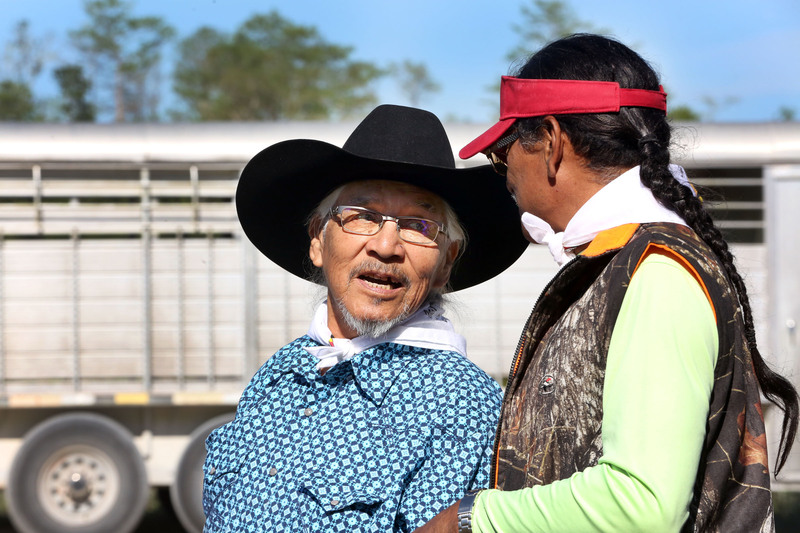 Henry Osceola, a mechanic who lost his sight in a spark plug mishap, was also a farmer, a BC store owner and a cattleman. His son Rudy Osceola ran the Tribe’s cattle operation with Jonah Cypress in the 1970s and retired five years ago. 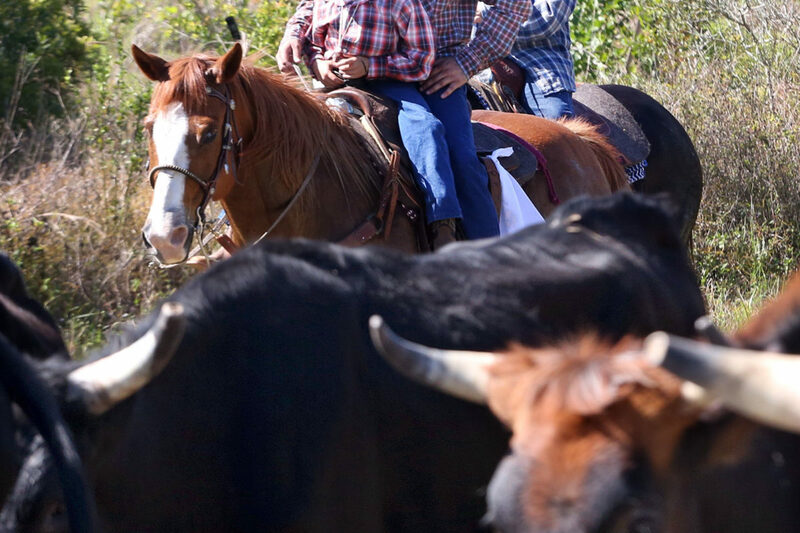 Rudy Osceola was pleased to be honored and enjoyed being a cattleman; he ran a cow calf operation from 1972 until he retired. 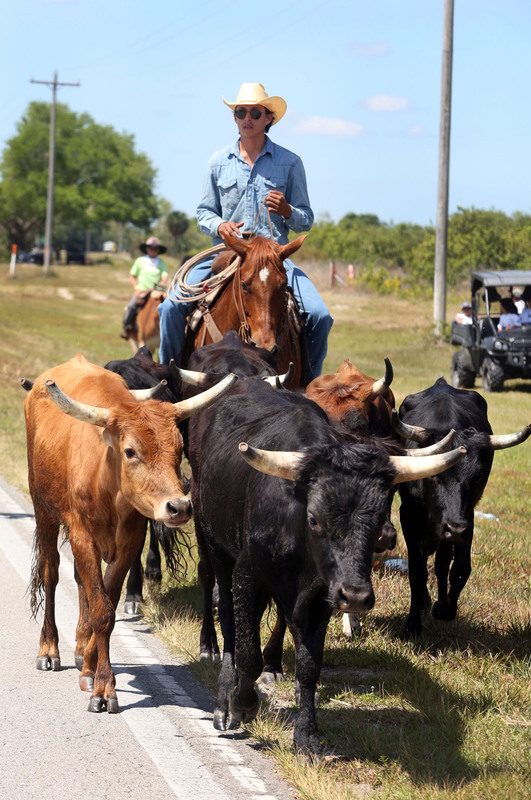 Moses Jumper welcomed the participants at the starting point and recounted how the Tribe used to herd free range cattle in Big Cypress. 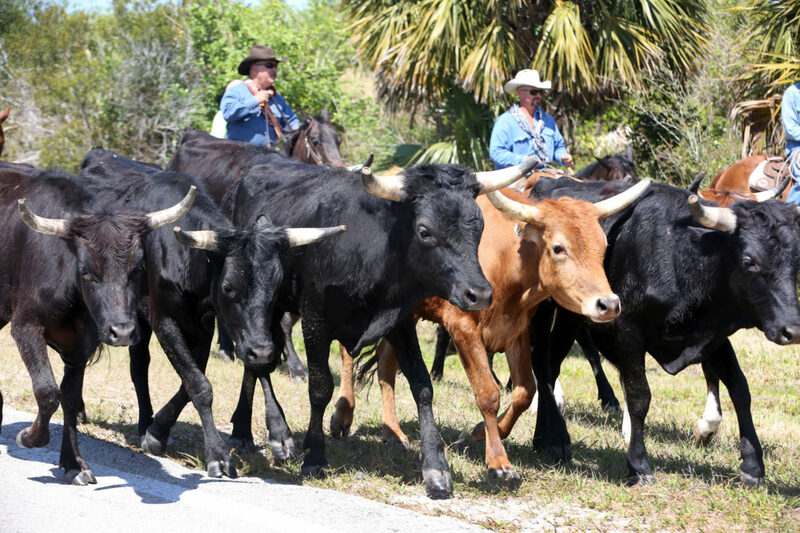 The public was invited to join the cattle drive and spend the day with the Tribe on the BC reservation. 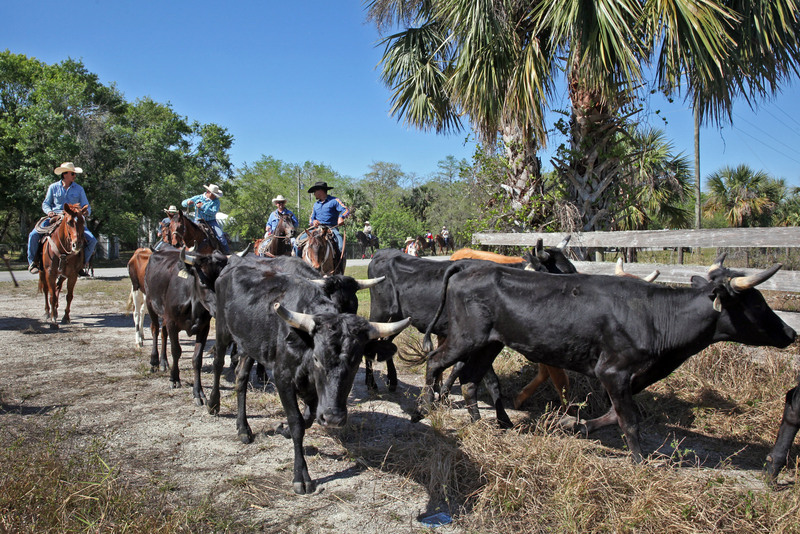 Outsiders came from around the state; some had been on the cattle drive before and some were participating for the first time. At the resting point about halfway through the cattle drive, Jumper shared some facts about the Tribe’s history in cattle. 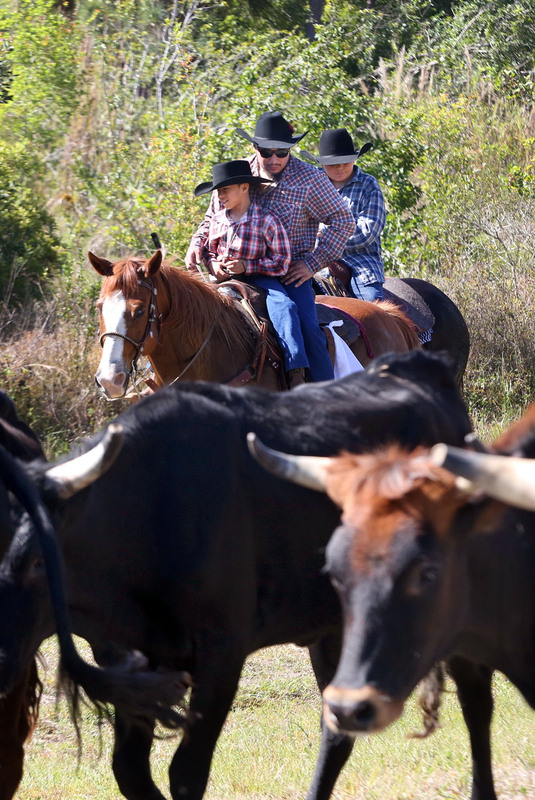 Jumper told the crowd that today the Tribe’s cattle program is one of the best in the country and the cow calf operation is in the top 10 in the nation and top 5 in the state. 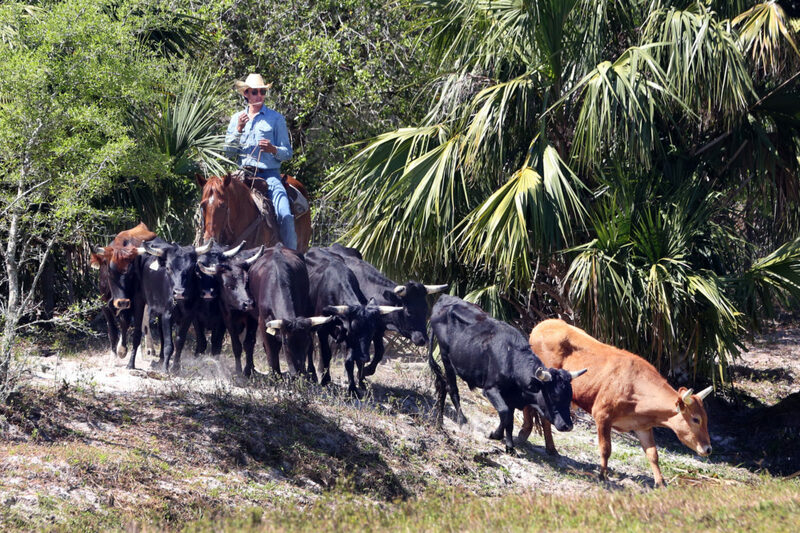 Big Cypress Board Representative Joe Frank, who grew up in Big Cypress, shared his experience working with cattle as a child. 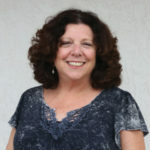 Josie Billie Highway was shut down as the cattle drive made its way slowly past the field office, health department, Ahfachkee School, the gym and over the Eight Clans Bridge. 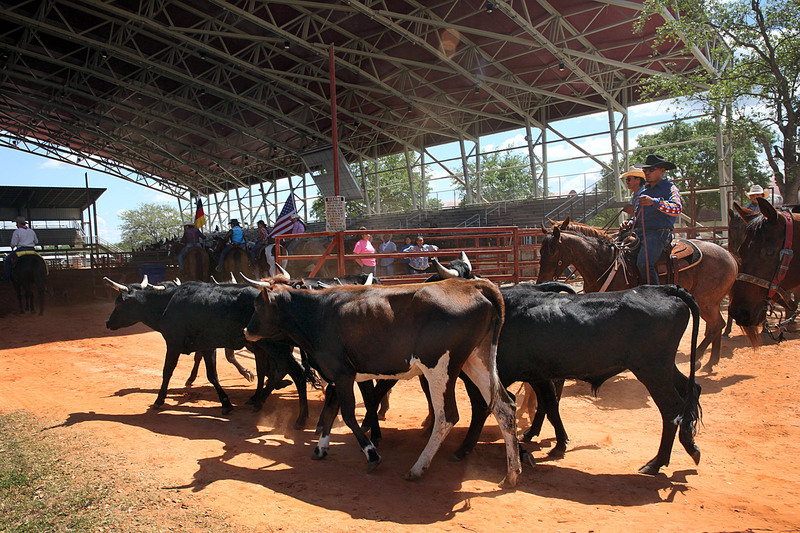 As they arrived at the rodeo grounds, the cattle made their way into the arena to the delight of those already there to see the rodeo. 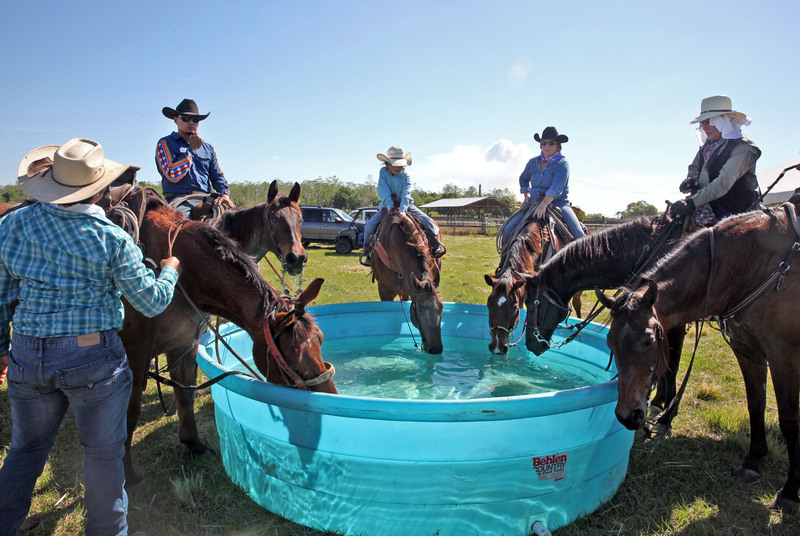 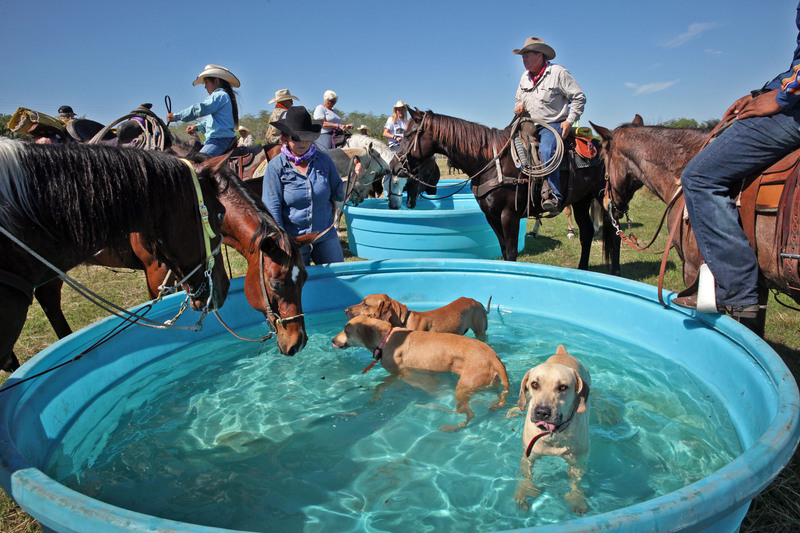 The kids rodeo began shortly thereafter and the adult EIRA rodeo began at 7 p.m.